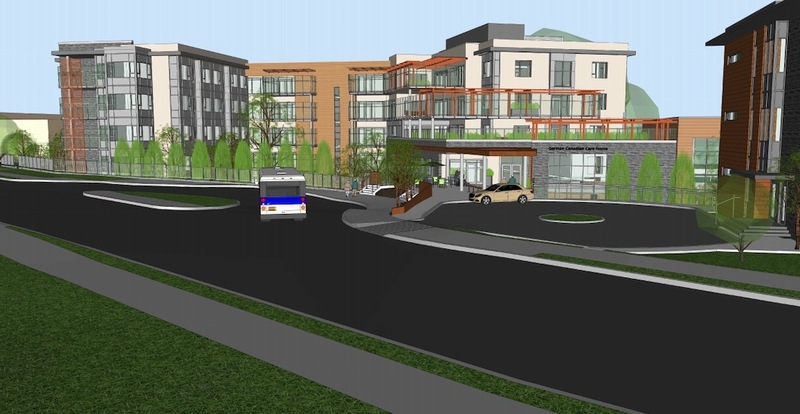 A mixed-use complex with a seniors care facility and rental housing building for the Victoria-Fraserview neighbourhood is currently being considered by the City of Vancouver. 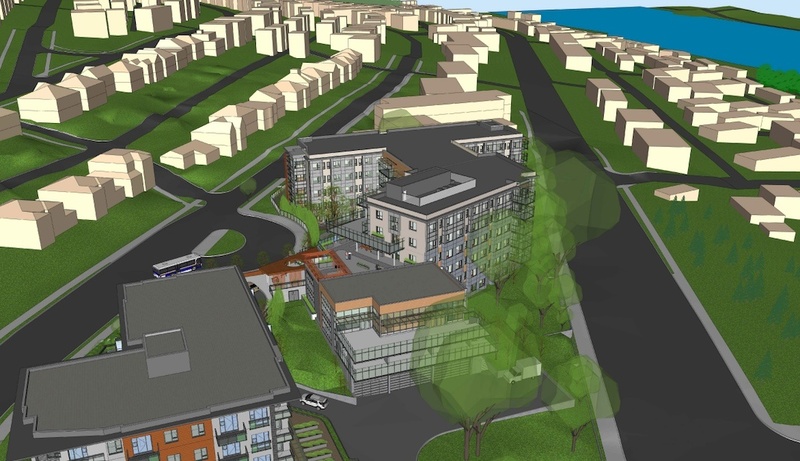 German Canadian Care Home is pushing for a redevelopment of its existing facility at the 2.4-acre property at 2010 Harrison Drive — the northeast corner of the intersection of Marine Drive and Victoria Drive. 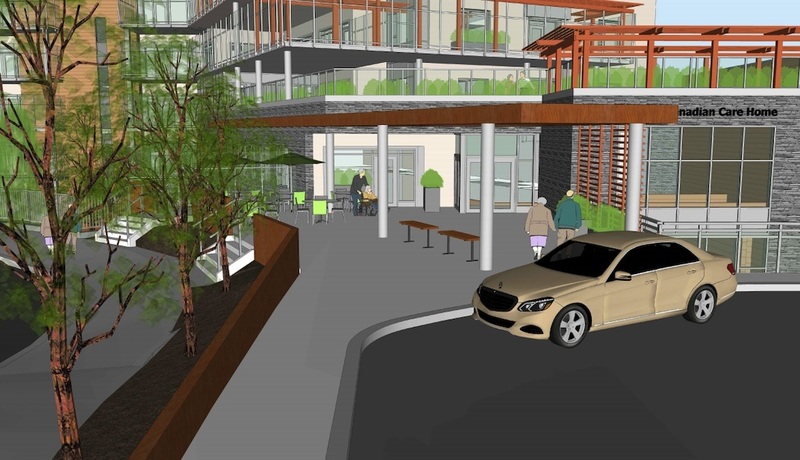 A development application by DYS Architecture details a proposal to replace the existing 1969-built, two-storey care facility with a new 75-ft-tall, six-storey, 129,000-sq-ft seniors care facility with 163 seniors care beds, representing a net increase of 29 beds over the existing facility. 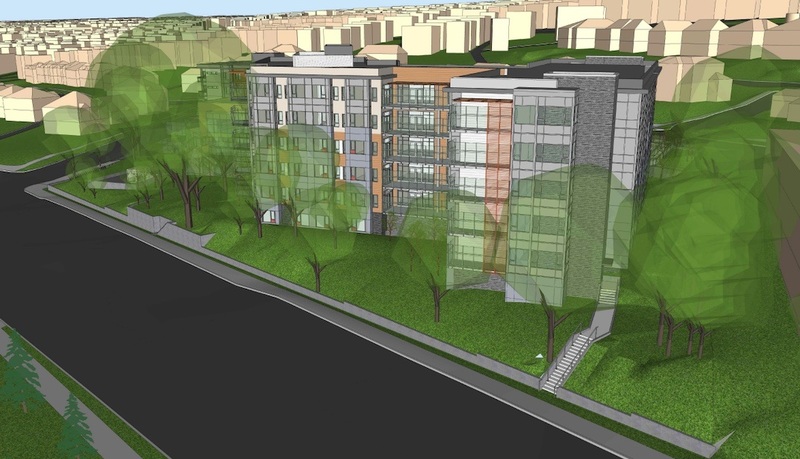 Adjacent to the new care home would be a new 53-ft-tall, five-storey, 42,603-sq-ft rental building with 52 secured market rental units. 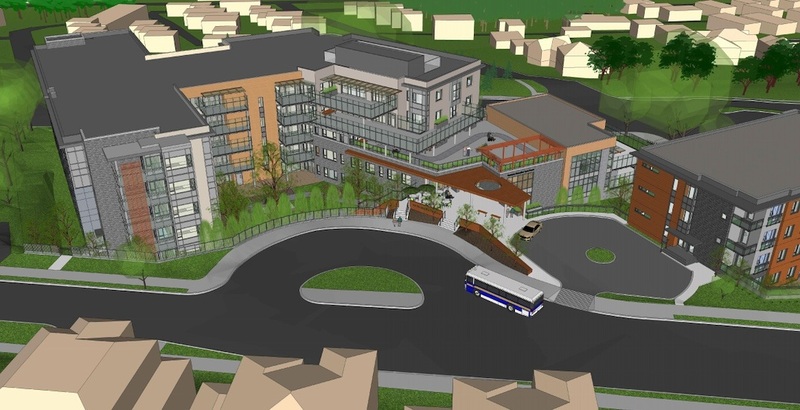 Care home operators signed an agreement with Vancouver Coastal Health for a new care home in 2016. 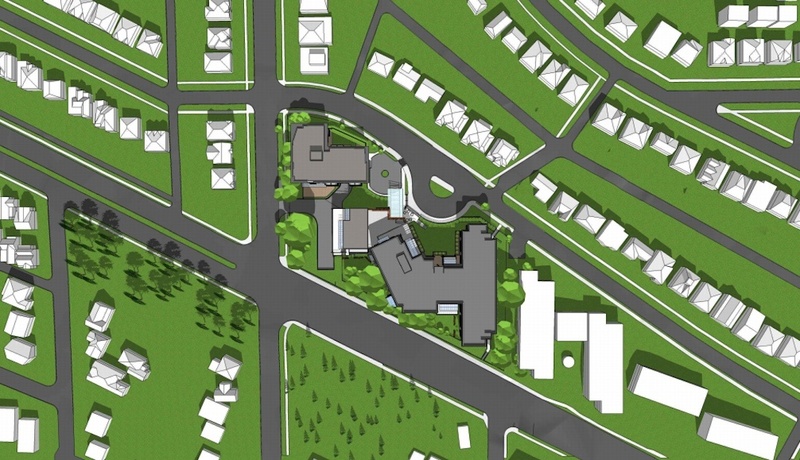 If the project receives necessary approvals from the municipal government, the new facility could be open in 2022. 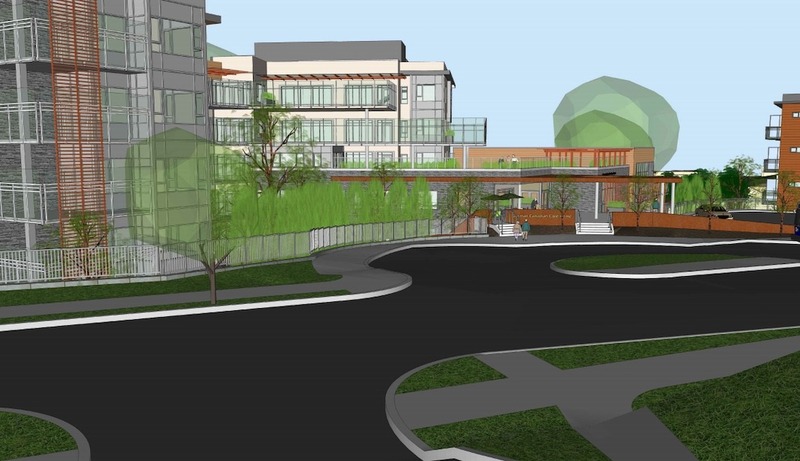 This project falls under the city’s Victoria-Fraserview/Killarney Community Vision. 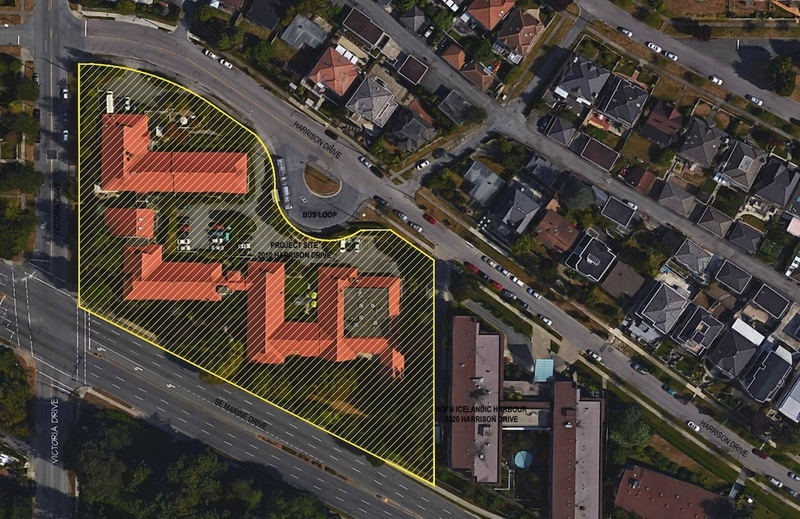 The property’s latest assessed value is $17.178 million.